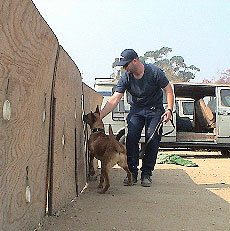 Training for canine explosive teams is a highly specialized endeavor that requires some of the highest standards and handler dedication of any form of canine training. Unlike others this is not a modified drug detection class taught by drug detection trainers. This is a specialized class offering comprehensive hands on training and practical skills designed to prepare EDD teams for today’s current threat atmosphere. Teams will be enabled with the strong foundation needed to deploy in the field. Threat assessment; comprehending the totality of the picture, credible versus non-credible, packages, etc. 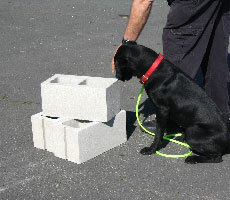 Training the K9 to develop a conditioned response to target odors on the Herstik Wall. 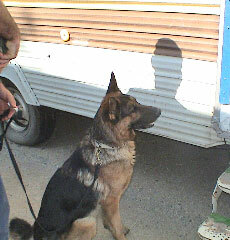 The stare at source “Focused” indication: A handler independent alert. Search patterns; vehicles, buildings, open air, etc. There’s an IED behind that door!